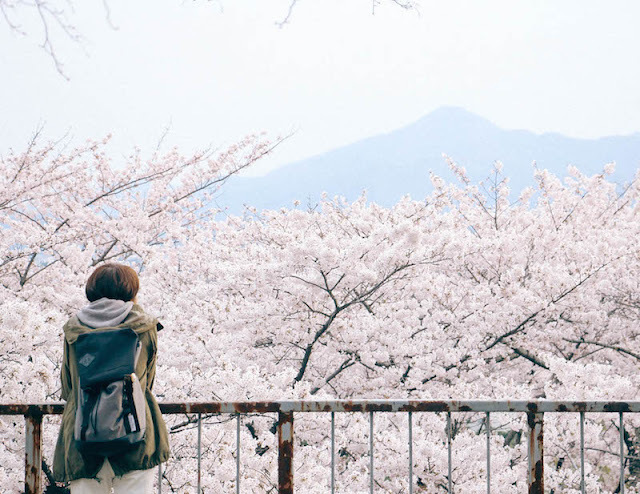 I am not a big fan of the cold weather, but there is so much beauty in the cold weather, one of which is the sakura trees! Since these sakura trees only bloom perfectly for a week, the spring season is the perfect time for tourists and locals to enjoy them. Iwate Prefecture is one of the best places in Japan to do that. 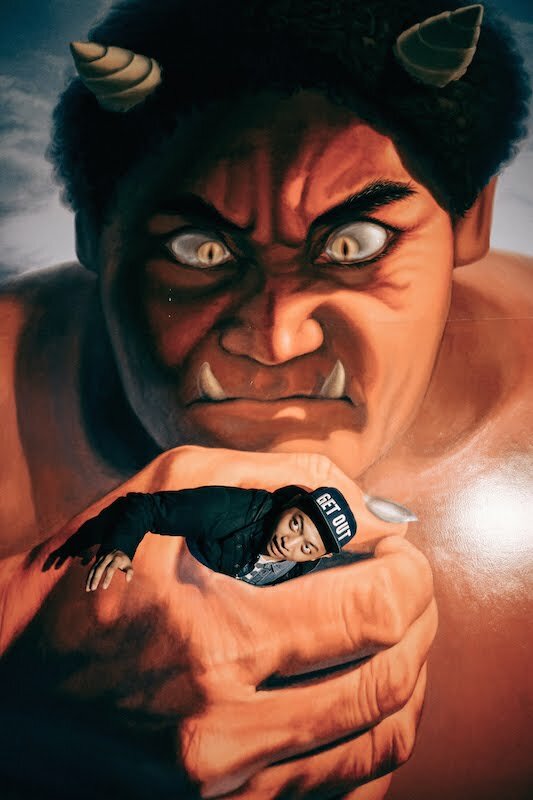 Trust me, this experience was one of my Japan's trip highlights! 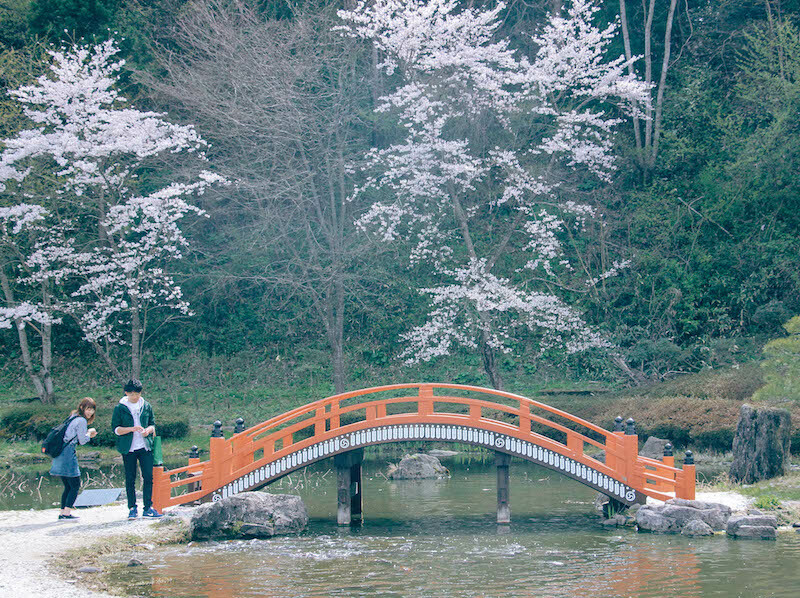 For starters, we visited a breathtaking sakura tunnel known by the name of Kitakami Tensochi Park. It was such a good day to be at the park, especially a park as beautiful as this one. The sun was bright and warm, which compensated for the strong and cold wind. I was happy that I wore 4 layers of clothes to cover myself from the wind. 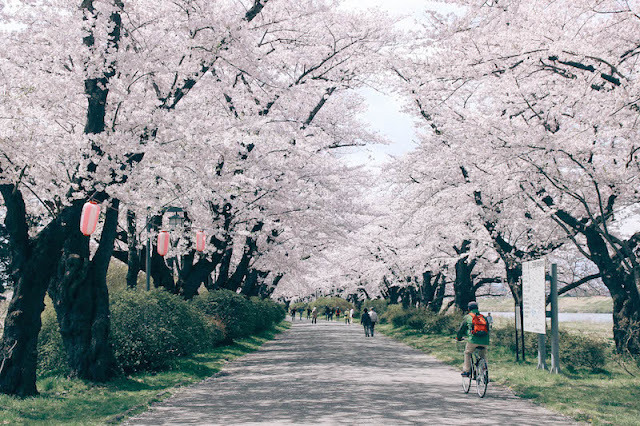 A sakura tunnel made out of over 10,000 sakura trees, next to a river, under a blue cloudy sky. Perfect! Such a good place to ride. I wish I brought my penny board. 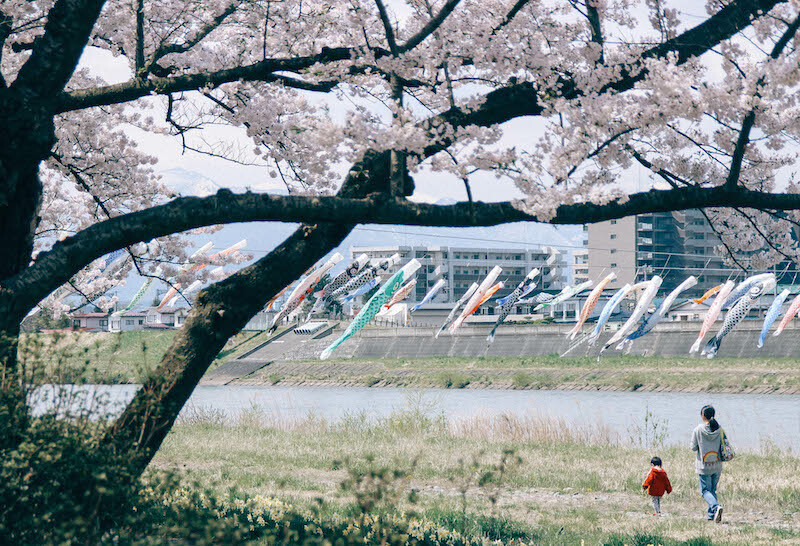 Can you see the Koinobori hanged across the river? This decoration is hanged yearly to celebrate Japan's national children's day. So much pink in one frame! After an hour of walking, taking photos and riding a horse cart, I finally reached the end of the tunnel. The length of the tunnel itself reaches up to 2 kilometers. On some days, boats and horse carts are available for a few minutes ride. 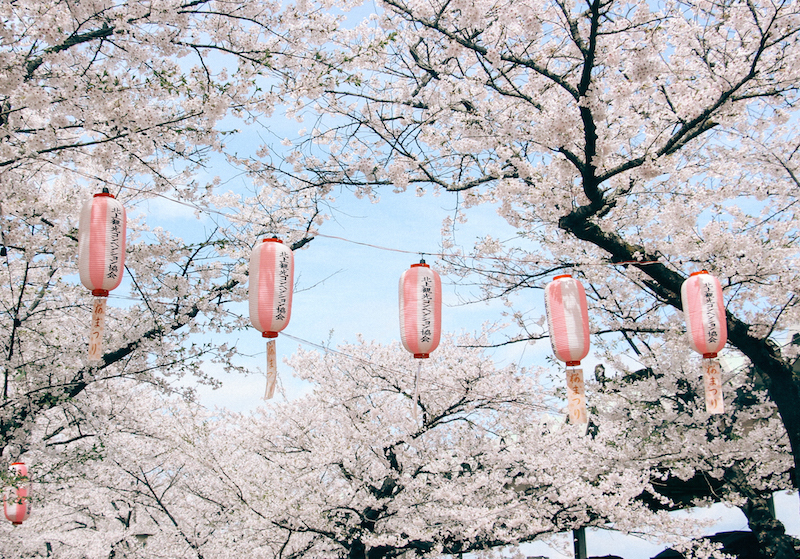 There was something magical about sakura that brought people together. 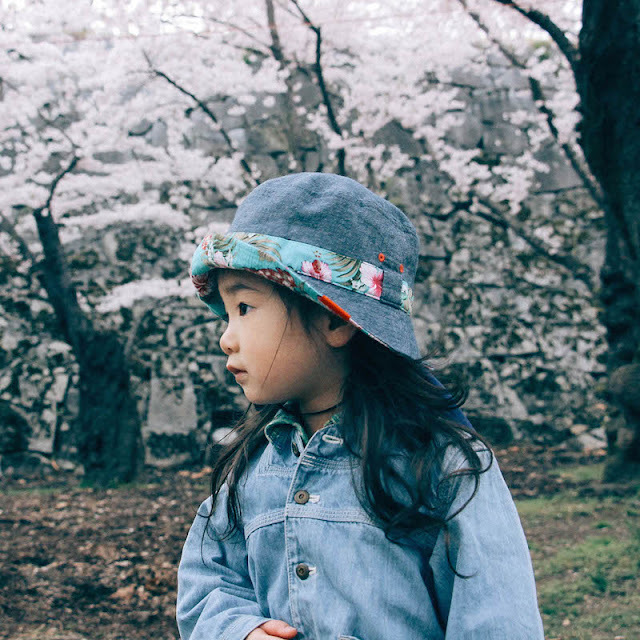 Families would bail work and school for a day of enjoying the perfectly bloomed sakura. 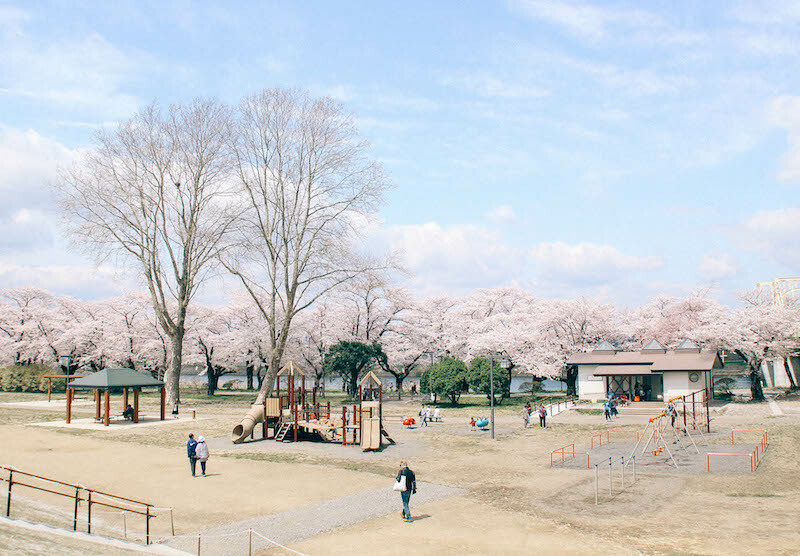 Office colleagues would spend the after office hours having picnics at the nearest sakura park. 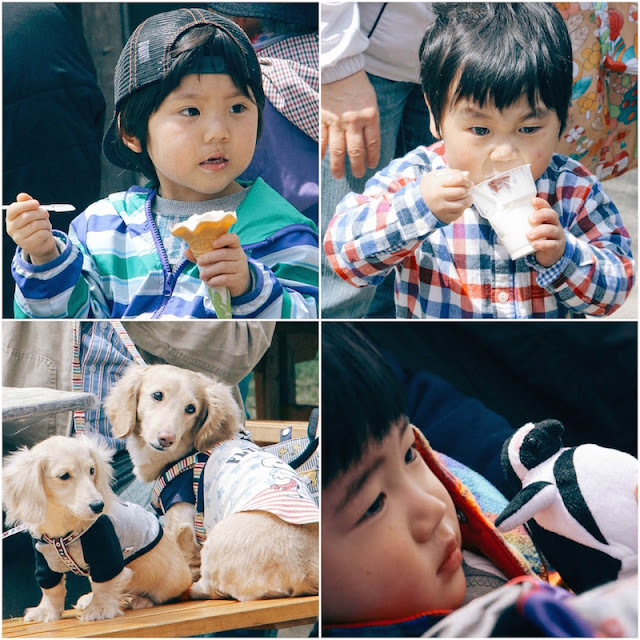 Other than the sakura tunnel, I had a lot of fun at Fujiwara Heritage Park! This park is a 20 hectare park filled with cultural and historical showcases all over the park. Other than historical and cultural knowledge, I was enjoying its trick art, archery and the chance to try on Japanese traditional kimono! 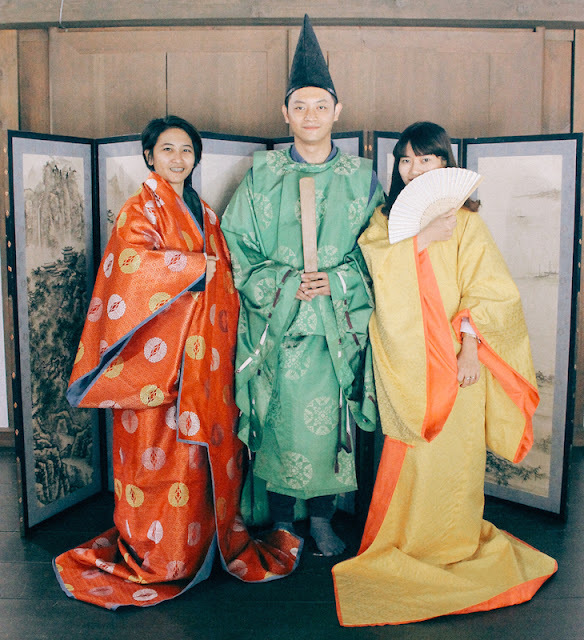 Trying on a Heian style kimono. The day was young and we had more places to visit in Iwate. 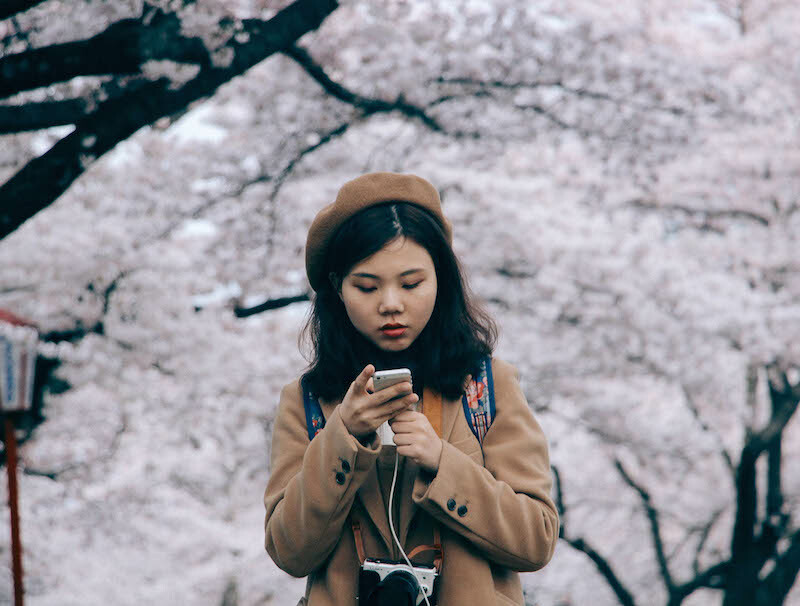 I was excited when told that we were going to visit another sakura park and stroll around for a longer time. 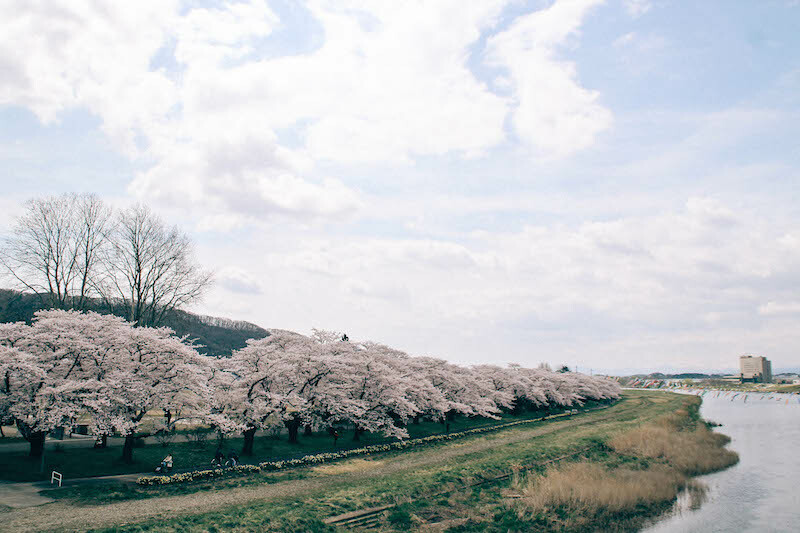 This time, we visited the Ishiwari-zakura park, which is a definite place to visit if you ever find yourself in Iwate. I can't say much about this park as I was enjoying it a little bit too much. The rest of the group were walking far ahead of me since I was walking very slow to soak in every tiny details of the park. 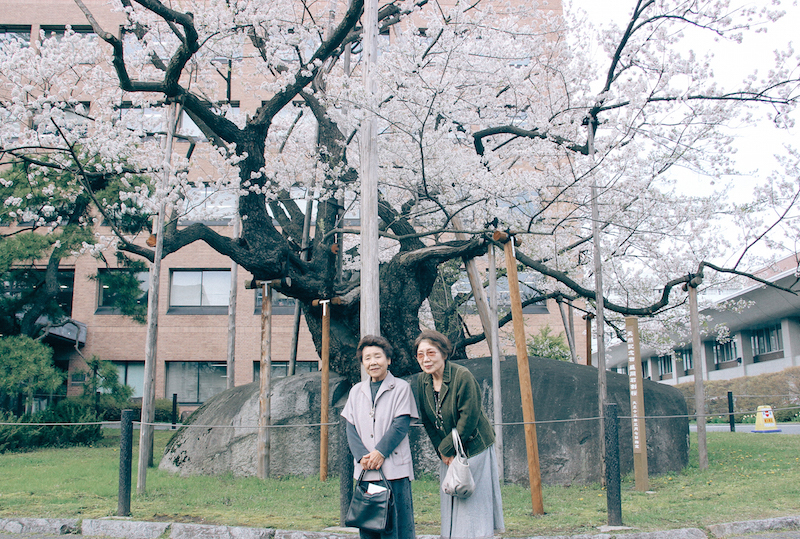 Two senior citizens posing in front of a 300 years old sakura tree. You could really miss the beauty above if you keep on looking down. I love Iwate and its sakura parks so much! Everyone was happy! Kids were running around while the parents would laugh at them. Friends would laugh together and lovers would walk hand in hand. I wish that my afternoon would always be that blissfull! I have written so much about Japan, starting from Fukushima, Miyagi, unisex public bath up to the famous soba eating competition. There is a little bit more to come from the Aomori Prefecture. You can keep yourself updated through my Instagram or my blog subscription. Until then, good luck for the upcoming week! Looking forward for the upcoming week! That's so beautifull, did you want back to there? 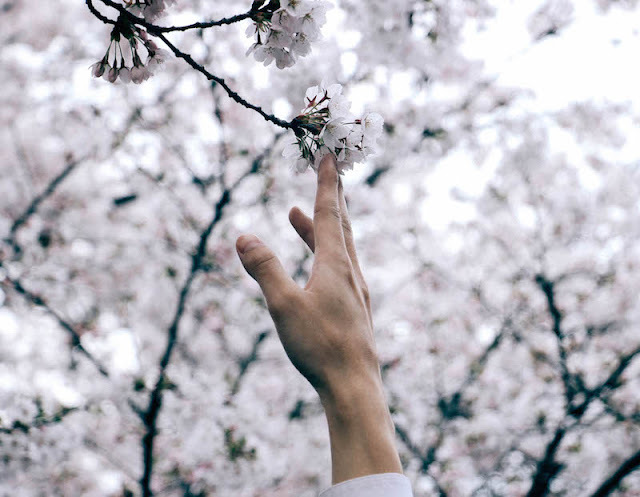 Did you touch the oldest sakura tree?? I would love to go back during the sakura season! The oldest sakura tree was bordered with fences, no one was allowed to touch it.